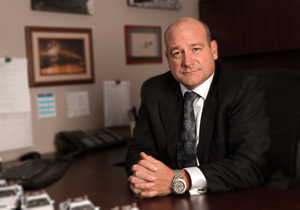 If you own an automotive dealership in Western Canada you’ve probably heard the news - Alberta and Western Canada, in general, have incredibly high automotive crime rates. Alberta, in particular, has been hit massively by automotive thefts in the past couple of years. In fact, thefts of vehicles in Alberta has jumped 56 per cent over the past five years - placing the county as the hotbed of Canadian vehicle crime. The Canadian average for theft rates per 100,000 vehicles in 2017 is around 230. However, in rural Alberta, that number explodes to a staggering 700 thefts per 100,000 vehicles and there’s no sign of it slowing down either. Just over 22,800 vehicles were stolen in Alberta in 2016, which amounts to roughly one-quarter of all vehicles stolen across Canada throughout the whole year. It’s clear that Western Canada, and Alberta in particular, is suffering from a huge problem. As with all technology, security is constantly changing and updating. If your business is relying on old security methods you are leaving your company susceptible to crime. Conventional CCTV will record everything on your property, but this old technology simply does not prevent crime. Conventional surveillance cameras have a 98 per cent false alarm rate, meaning police officers generally take longer to show up and more often than not don’t even show up at all. Criminals know they have at least 20 minutes before the police show up, so they are easily able to take off with your important assets. That’s why the implementation of verified video is crucial for the success of your business. The unique Sonitrol Solution for automotive dealerships, SonaVision verified video, monitors the outside and inside of your dealership 24/7/365 and is activated by highly sensitive motion, heat and audio controls to detect criminals. Once an intrusion is detected, Sonitrol’s 24/7 monitoring centre is informed. Agents in the monitoring station are then able to verify the intrusion and contact local police officers immediately. 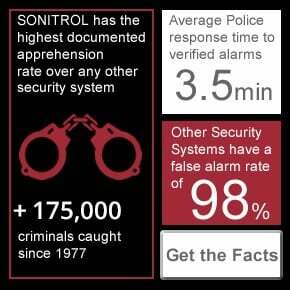 Police make verified alarms a priority, with an average dispatch time of just 3-4 minutes for verified Sonitrol alarms. 2 - How are you parking your cars? It may seem obvious to some, but how you park your cars can have a huge impact on how easy it is to steal vehicles from your automotive dealership. Protect your valuable cars by surrounding them with other vehicles, making them virtually impossible to steal. You can also make towing your vehicles significantly harder by some simple parking strategies. By ensuring your emergency brakes are on and turning your steering wheels sharply to one side, you will make it difficult for a thief to tow your cars away or remove the tires. Also, consider adding bollards to your premises. By raising bollards after hours you will be able to prevent criminals from taking cars off of the lot without causing serious damage to the vehicles. 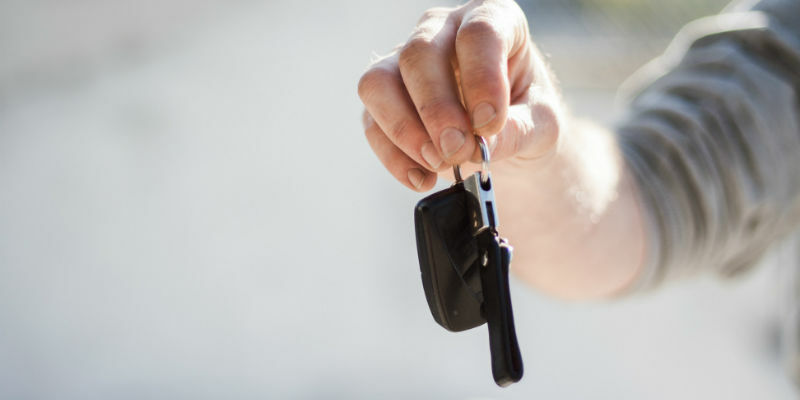 By getting rid of those keys to your premises and introducing managed access control, you will ensure that your expensive tools, speciality parts, car keys and any other valuable assets are secured. Securing your building and locked compound with keyless entry will put you back in control of who has access to specific areas of your business. Installing a keyless entry system not only makes it harder for criminals to get in, it also helps to prevent internal theft. Whether you have a single dealership or a regional chain, Sonitrol’s innovative and scalable security designs will give your business the protection it needs to fight off criminals. Find out more information today and contact our team of experts.